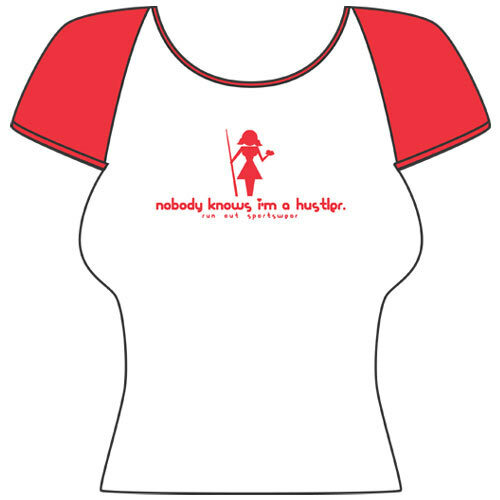 ôNobody knows IÆm a hustlerö on girly babydoll cap sleeve raglan, white with red sleeves, fitted. Design features eye-catching red glitter ink. Made from 100% pre shrunk cotton. This shirt is available in small, medium, large and xtra large.